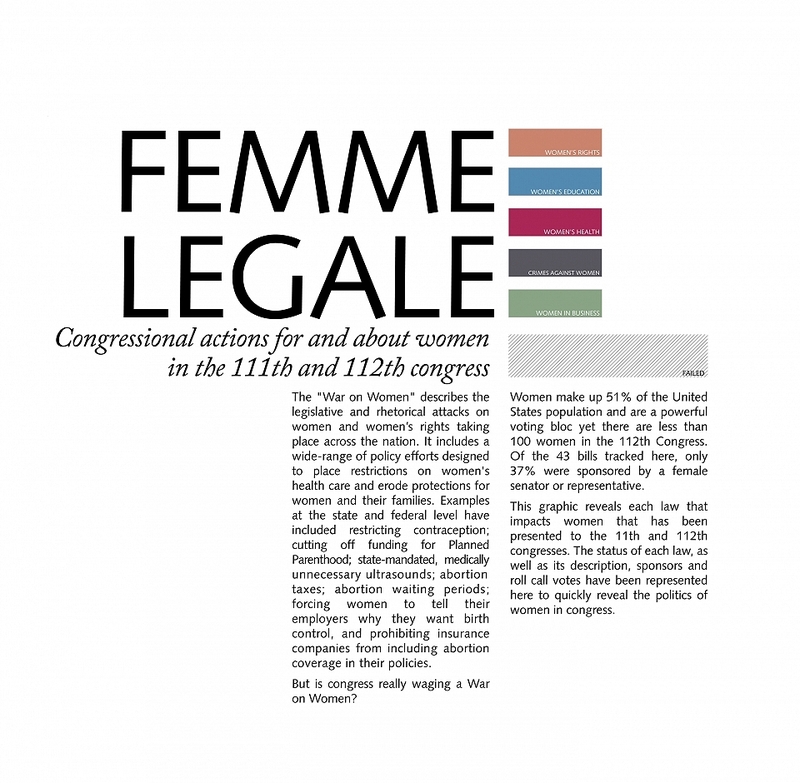 Femme Legale looks at the congressional actions for and about women in the 111th and 112th congress. 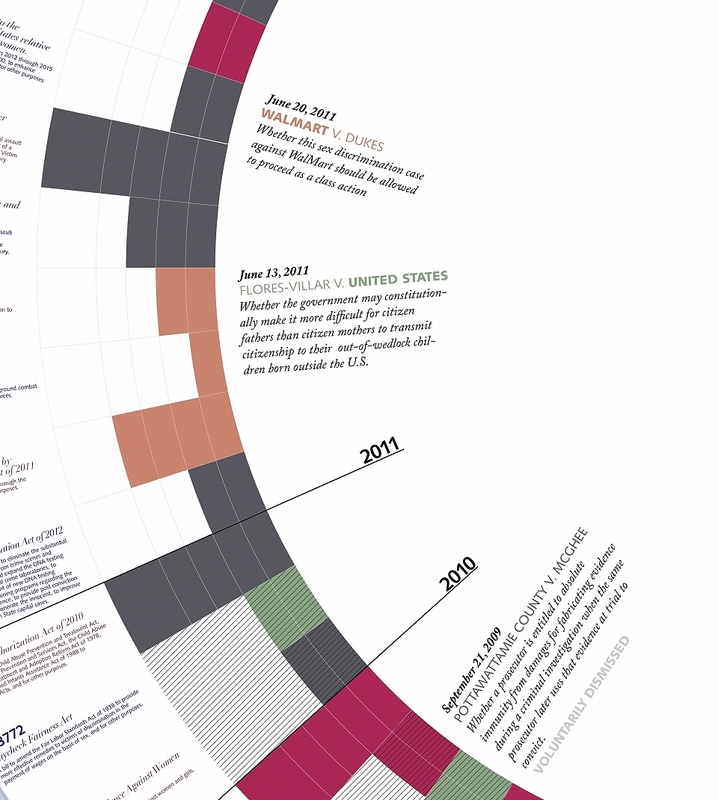 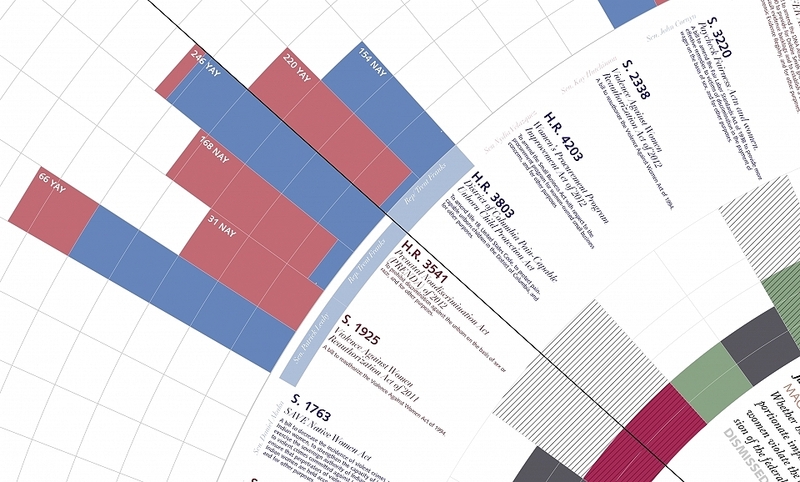 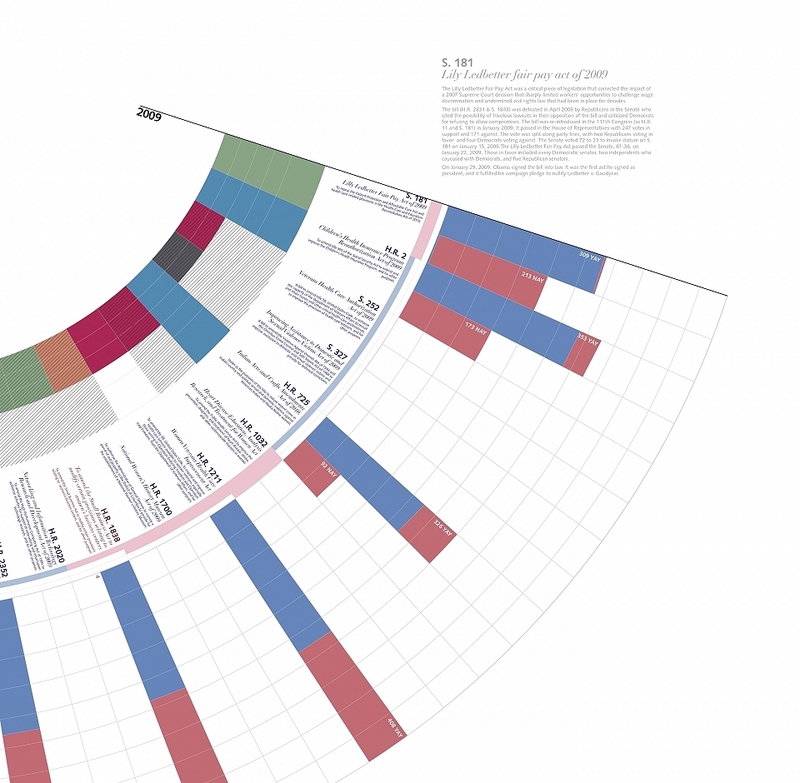 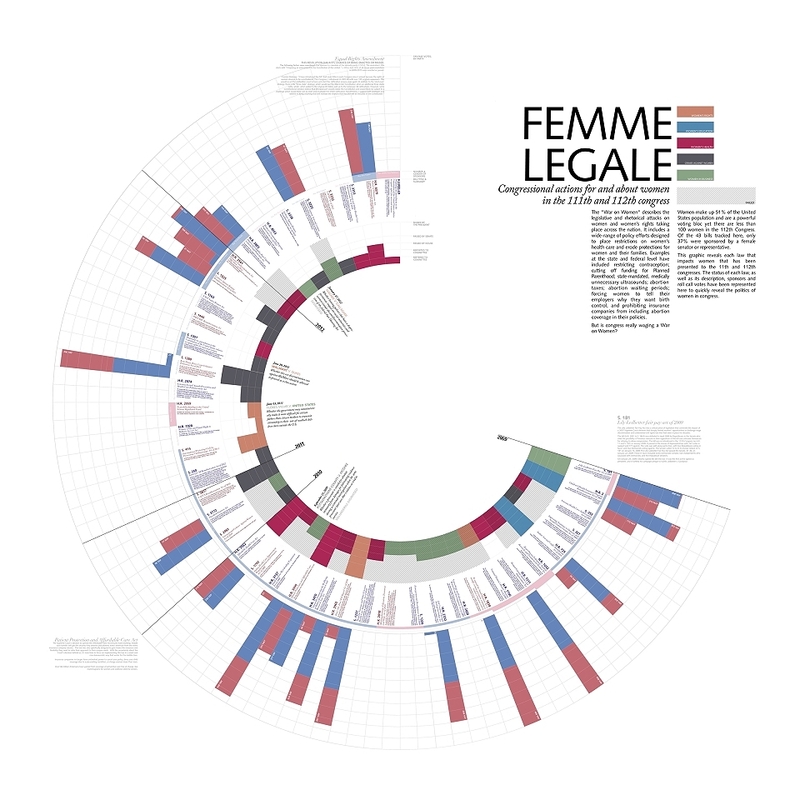 The graphic reveals each law that impacts women that has been presented between 2009 and 2012. 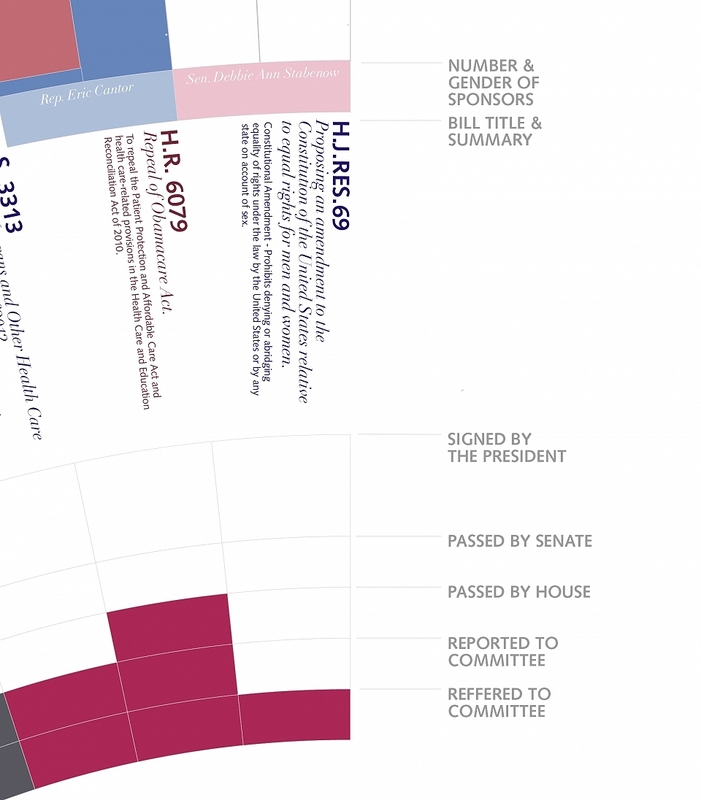 The status of each law, as well as its description, sponsors and roll call votes have been represented here to quickly reveal the politics of women in congress.